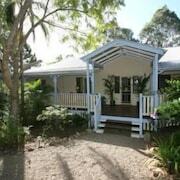 Situated in Eumundi, this bed & breakfast is close to Eumundi Market. 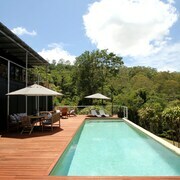 Area attractions also include Cooroy Golf Club and Ginger Factory. Amazing place! I recently had the pleasure of staying here. The couple that own the hotel are so lovely. My room was beautiful, with the most incredible view. It was probably one of the most comfortable beds that I have ever slept in. Just lovely! Lovely views, lovely room, lovely hosts. Peaceful, relaxing night, exceptional breakfast. Floyd & Derek Excellent all round. Exceptional service & unbelievably delicious food, not to mention the incredibly friendly hosts. We certainly wouldn't hesitate in returning & highly recommend to everyone! Clean, comfortable, quiet, spacious and centrally located. 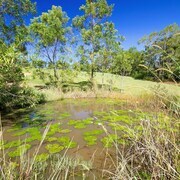 Excellent Beautiful setting in rural hilltop. Green! lovely host who was informative, accommodating but respected privacy. Excellent breakfast- homemade muesli, both raw and toasted. Delicious fresh fruit salad and the best seedy bread not to mention the drip coffee or the pod machine. Do you want to be within walking distance of one of the city’s most prominent landmarks? How would you like to wake up in the morning with a view of it outside your room window? This is so easy to accomplish, it’s almost ridiculous. 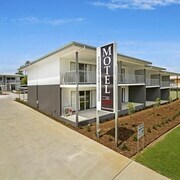 Just book a stay at one of the many discount hotels near Eumundi Market and you’ll be able to throw a googly to it. A few days ago, the famous sites down the street only existed in brochures. But now, you can begin the morning by mapping out your day from your balcony. See that place off in the distance? That’s where you want to be, so flag down one of the taxis, snag one of the buses or just hoof it from accommodation close to Eumundi Market. You can also check with the hotel concierge about any tour packages available, just be sure to have your camera ready because a new holiday album could be in the making. Don’t just look for some rum-dum joint to crash in during your holiday—and yes, camping is out of the question. 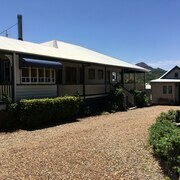 Use lastminute.com.au to find the best deals on Eumundi Market hotels to keep your budget intact, even if you’re booking at, yes, the very last minute! Spend the money you save on extra adventures outside the city limits!